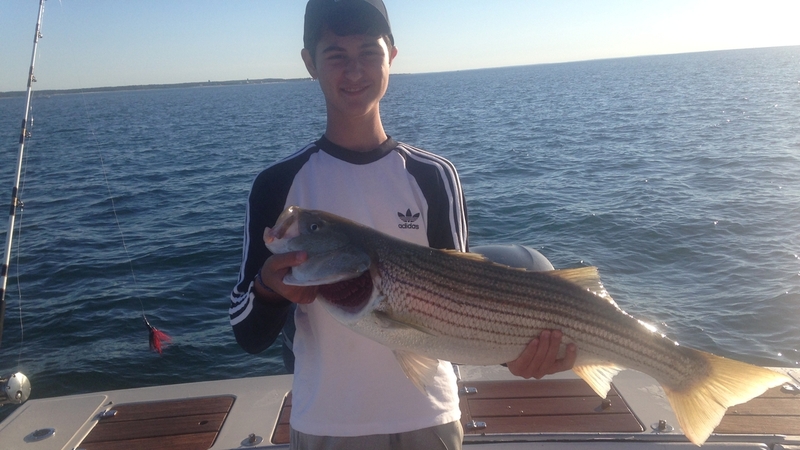 Captain Glen will put you on fish!!! Capt. 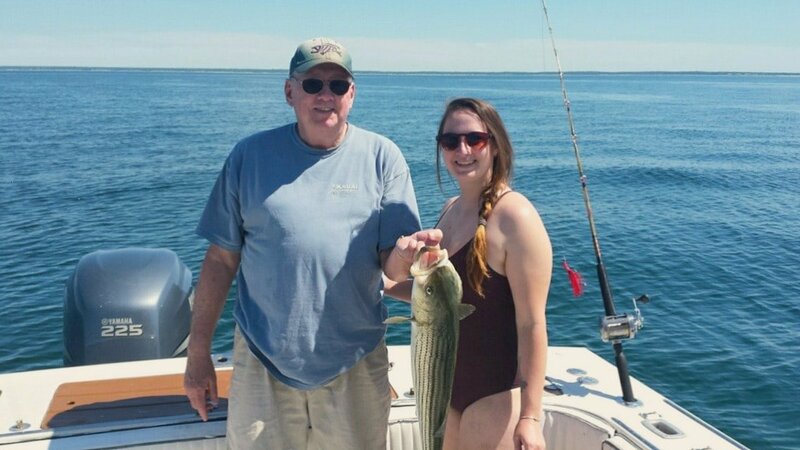 Glen has Over 33 years experience fishing Cape Cod Bay! 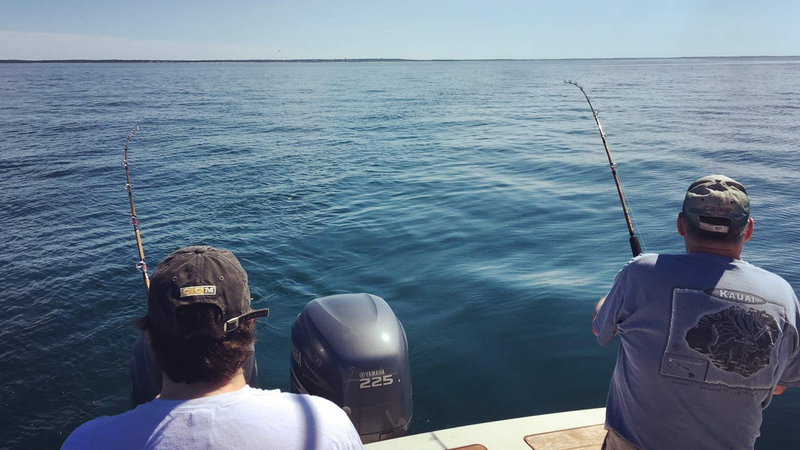 Leaving from Rock Harbor, the Rockin’ Robin will take you, your family and friends fishing across Billingsgate Shoal, one of the most productive striped bass fishing spots on Cape Cod Bay. 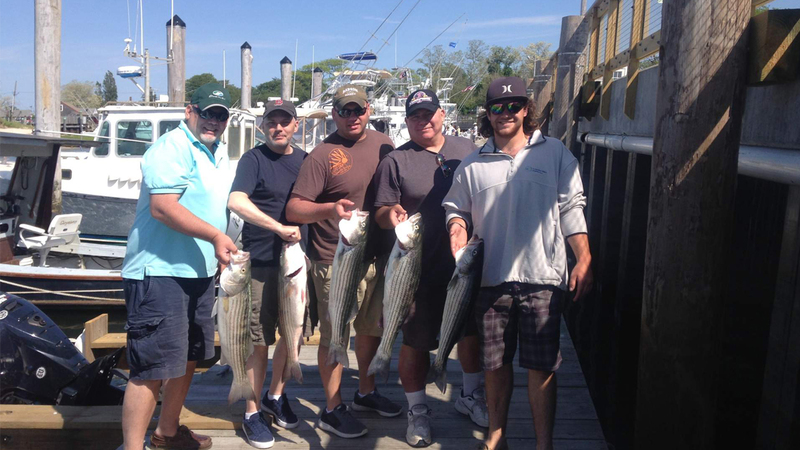 Please join us while you’re staying on the Cape and enjoy the sun, fun, and the excitement that catching striper can only provide. 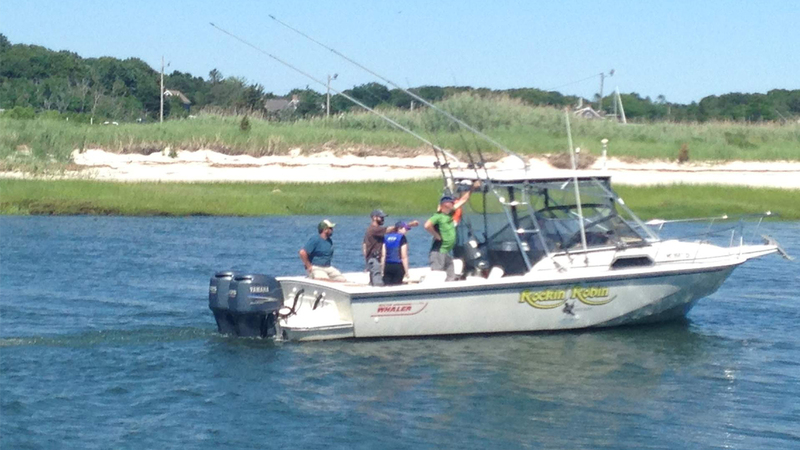 Whether or not you’re a seasoned pro or have never fished before, you won’t want to miss this! 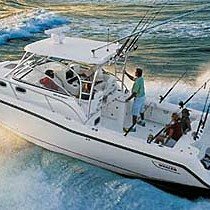 The Rockin Robin is a 30′ Boston Whaler powered by twin 225hp Yamaha Four Stroke outboards. 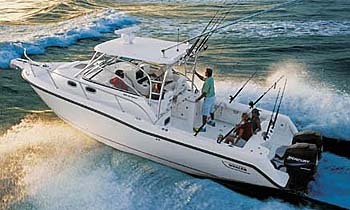 She can get you to the fishing grounds or home very quickly, if we have to. 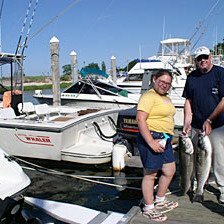 She is equipped with the latest fish finding technology including Coast Guard certified safety equipment. Captain Glen Southwick is a licensed Merchant Marine Officer. 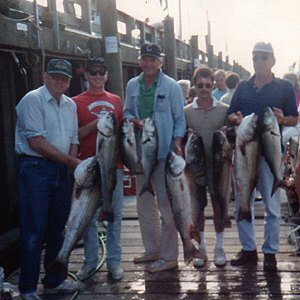 Fishing Cape Cod Bay for over 25 years.